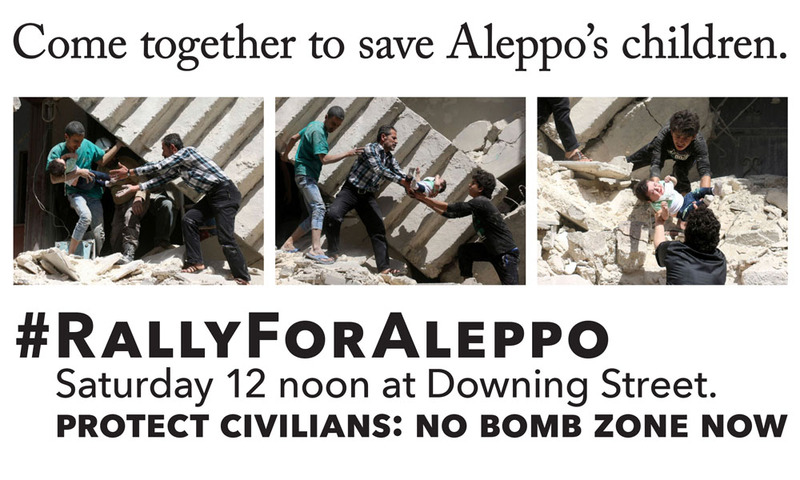 On Saturday at 12 noon, major UK charities are leading a rally for Aleppo at Downing Street. This very important rally will call on the UK Government to protect civilians in Syria. We all need to add our voices. Please come, and please bring your children to support the children of Aleppo. Please ask your child to bring a teddy bear for photos. Below is a letter to Prime Minister Theresa May endorsed by several charities and NGOs. We are pleased to add our support. Add your name via the Amnesty website here. What we are witnessing in Syria is the greatest human rights and humanitarian crisis of the 21st century. How we respond to the horrors being inflicted on these women, children and men is our generation’s great test. The slaughter in Aleppo is happening before our eyes. The children under the rubble, their screams, their terror play on our screens every day. We cannot claim we didn’t know. Deliberate attacks on children, hospitals, rescue workers , are ongoing. They cannot be dismissed as “collateral damage in a battle against terror”. 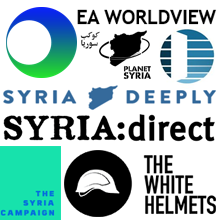 We are witnessing a systematic attack on the laws of war in Syria. Prime Minister – if we tolerate this, what next? The international system born of the ashes of the second world war to ensure that brutality never happened again is being deliberately dismantled, especially by the Syrian and Russian regimes. Every war crime we allow unpunished – by any party to this bloody conflict - makes the world more dangerous. Each bomb that drops on a hospital or school is a rock thrown at the façade of our collective humanity. Resolutions at the UN Security Council are ignored. Diplomacy has so far failed the children of Syria. Inaction and impunity worsens the situation for civilians. Prime Minister, this is not a moment to sit on the sidelines. The UK must stand up for the protection of civilians and respect for international law. We must not accept the wilful destruction of lives, communities and a country. An effective strategy with protection of civilians at its heart is urgently needed to deter the use of collective punishment against eastern Aleppo’s civilians and work towards a peaceful resolution. In the face of such horrors, we said never again. Now we must show we mean it. For these children and for the safety of all of us. 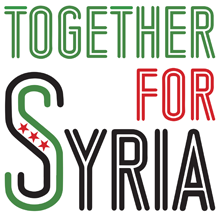 Action Aid, Amnesty International UK, Avaaz, Big Heart, Council for Arab British Understanding, CARE International UK, ChildrenPlus, Christian Aid, Doctors of the World UK, Human Appeal, International Rescue Committee UK, Syria Relief, The Syria Campaign, War Child, WATAN.